Roof rats live in people’s homes. They enter through cracks, crevices, ventilation on roofs, gaps between fascia and roof decking…and yes…open doors and windows. Rodents such as roof rats do billions of dollars in damages and food contamination worldwide each year. They also spread serious…sometimes deadly diseases such as typhus, salmonella, dysentery…even bubonic plague. If you even think you might have a problem with rats in or around your home, it is imperative that you take fast action. Rats can multiply at amazingly fast speeds. An female can have a litter of 5-12 babies every 28 days! At Creepy Creatures Termite and Pest Control, we specialize in the identification and removal of all types of rodents, including roof rats. Dusty Showers is considered the authority on roof rat control in the Palm Harbor and Tampa Bay area. “Weird But True: Strange Facts About Occasional Invader Pests” you will see some of the strangest things about many of the bugs and creepy crawlies that live around Palm Harbor! Boxelder bugs get their common name from the fact that they are often found on and around boxelder trees. This species is native to the western states, but can be found from eastern Canada throughout the eastern United States, and west to eastern Nevada, wherever boxelder trees are found. These bugs are nuisance pests in and around homes from fall through early spring.Weird but true: Entomologists have observed that these bugs prefer to develop on and feed on the leaves, flowers and seeds of female boxelder trees. Although these bugs tend to enter homes in droves and can be alarming to homeowners, rest assured they do not reproduce while they over-winter in your home! 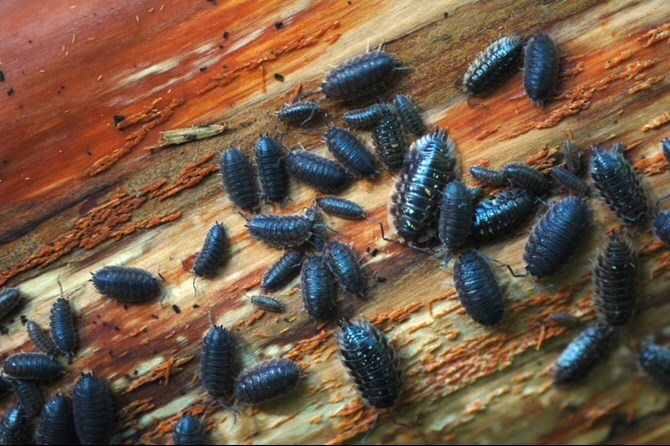 Pill bugs, also called “rollie pollies” are some strange bugs! His company, Creepy Creatures Termite and Pest Control offers FREE Consultation and FREE Estimates! So…if you think you might have a problem with rats or any other unwanted creature in or around your home…call or text 727-488-5657 and ask for Dusty Showers. He’ll be happy to speak with you any time! Here’s to helping YOU live RAT FREE! PPS. A portion of all sales goes to helping women with breast cancer!